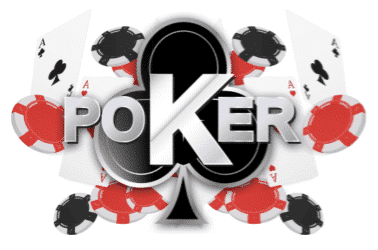 Pala Poker NJ has become the latest legal online poker platform to come to New Jersey. Players are able to join in on the most popular poker styles such as Texas Hold’Em and Omaha through cash ring games both on the web and through mobile. Pala Poker also offers a multitude of daily tournaments at either a fast Sit N Go pace or the longer Multi Table style. While playing in your favorite tournaments or ring games, Pala Poker awards you in two different types of loyalty points that lead to redeemable prizes. The promotions on Pala Poker set the free money standard in New Jersey through two bonuses making up an incredible welcome package. In this review, you’ll get the full layout of Pala Poker as well as the step by step process of retrieving both bonuses! Loyalty Promotions Bonus Cash When Hitting Loyalty Milestones! The bonuses at Pala Poker make up one of the best welcome packages in New Jersey. With the platform being new and in beta, it’s more than likely that Pala Poker is giving out a large amount of free cash to new players to bolster the player pools and fill the high expectation tournament schedule. At the moment, when you sign up as a new player on Pala Poker, you get two different bonus deals. The first is a free “No Deposit” $50 in bonus money for all three Pala NJ Casino sites, Pala Poker, Pala Casino, and Pala Bingo USA. The second is a 100% match bonus of up to $500 on your first deposit. $15 in Poker Bonus Cash- You can use $10 in tournament entries and $5 in cash for ring games. $20 in Online Casino- $15 is available for all online casino games and you also get a free spin at a million dollar slot machine with a $5 winning minimum in bonus cash. $15 in Bingo Tickets- 150 tickets for any of the Pala Bingo USA games. When playing with bonus cash on Pala Poker, it is important to know that the deposit bonus and money won through bonus wagers needs to be unlocked before you can withdrawal. Both the bonus funds and money won using bonus funds will be in a separate account that is released through wager requirements in $5 cash increments. To unlock each increment for withdrawal, you will need to earn 1250 Status Points. However, you earn 50 Status Points for every $1 you spend on either tournament fees or rakes from cash games. Pala Poker offers a number of daily tournaments seven days a week. Although the guarantees and big money tournaments are not as high as other New Jersey online poker platforms, Pala Poker is gaining more players which will drastically increase prize pools in the future. Currently, players have both multi table and sit n go tournaments to choose from, depending on the preference of speed. Tournaments are typically either Texas Hold’em or Omaha at various stakes and blinds. Most of the tournament choices have rebuy options for those fall out earlier than expected. It is good to know that all of the variations of Omaha tournaments have pot limits where as the Texas Hold’em tournaments stick with the traditional “No Limit” style. The New Jersey VIP rewards program on Pala Poker is identical to the Pala Casino loyalty program. Both program give both Status Points and Rewards when you play. However, when playing on Pala Poker, you earn 50 Status Points for every dollar you spend on cash game rakes or tournament fees. On top of that, you start of by earning 4 Reward Points for every Status Point you earn and have the chance to “level up” through the five Pala Privilege tiers. As you move up, you multiply the number of Rewards Points earned for every Status Point as well as unlock better redeemable prizes for your Reward Points such as milestone bonuses. The mobile apps for Pala Poker are highly above average, although the beta version of the online poker platform has not brought in as many players yet as the current competition. The mobile interface has a modern aesthetic that and a solid layout that is both easy to navigate as well as to use in game. You can play either typical ring games, Sit N Go tournaments or multi table poker. The mobile app does an excellent job of helping players keep organized, especially with the multi action feature when playing on more than one table at a time. The mobile version of Pala Poker is available for both iOS and Android devices. All iPhone and iPad users can download the app via the iTunes App Store and those playing on Android can download it on PalaPoker.com while on a phone or tablet. 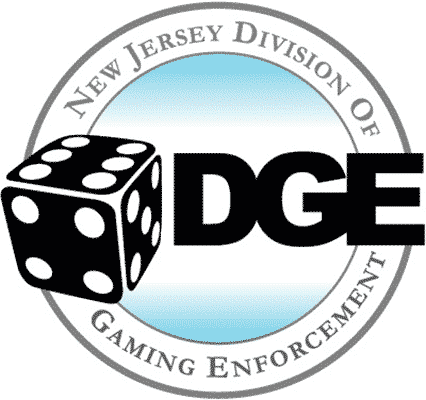 Online poker in New Jersey is only legal when the New Jersey Division of Gaming Enforcement regulates and licences an operator. The NJDGE recognizes Pala Poker as both a safe and fair platform for New Jersey players, giving it a legal approval to operate online within the state. Although the Pala Interactive gaming company is located in California along with its tribal casino, the Pala brand is a partner operating on the Borgata Atlantic City Casino license. Through the New Jersey Division of Gaming Enforcement, Pala Poker adheres to all of the necessary Internet gaming laws to ensure players have a fair chance to win and are completely secure when playing online. 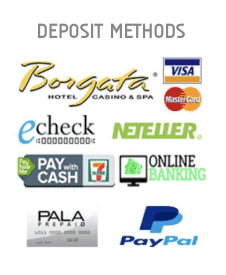 Responsible gaming laws let you set deposit limits on Pala Poker by clicking Cashier and then Deposit Limits. When playing real money games on Pala Poker, you will need to allow the geolocation software from the platform verify that you are within New Jersey. You will also need to prove your age and identity through ID verification. The Rewards: Pala Poker’s Loyalty Program rewards players with two different types of VIP points. Status Points help with unlocking bonuses as well as multiplying the number of Reward Points, which give players cash back, satellites, and prizes. 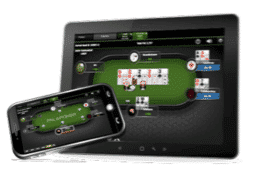 The Mobile Apps: Perfect for playing on the go, the Pala Poker mobile apps have all of the feature from the desktop version including cash games, tournament, and banking. The well crafted layout makes it very easy to navigate through the Multi game mode. Safe and Fully Regulated: The platform holds a license to operate online in New Jersey, making it both legal and safe to play. On top of that, Pala Poker uses a bank level 128-bit encryption to keep all personal and financial information secure. Pala Poker shows promise as a new online poker platform and at the moment is a solid option for New Jersey players. The platform highly rewards new players through a top notch welcome package including an industry leading $50 in free bonus cash in addition to a strong match deposit bonus. The tournament and cash game selection needs work as Pala Poker moves out of beta and into a full fledged platform, but the site is already promising new games and features such as 7 Card Stud and FastPala Poker. As for the tournament options, prepare to see a whole lot more action moving into 2018 with player pool combinations both within the Borgata license as well as with Nevada and Delaware players. The mobile app and loyalty program remain big highlights for Pala Poker due to feasibility. Altogether, Pala Poker is heading in the right direction, with a great start through their beta. "Fully Licensed poker website in New Jersey, which offers one of the best welcome offers!"